You will work on a PhD study (4 years) with the objective to conduct a hydrodynamic modelling study of a tropical river delta. More specifically, the aim is to elucidate how spatial planning of mangrove forest conservation (instead of conversion to human land use) can constitute a nature-based strategy to mitigate flood risks that are increasing due to global change. A review paper related to this topic can be found here: http://www.nature.com/nature/journal/v504/n7478/full/nature12859.html. Tropical deltas are typical hotspots for high human population densities that are exposed to increasing flood risks due to global change. Climate warming leads to accelerating sea level rise and growing intensity and frequency of extreme climatological events such as El Niño. Together with local human land use changes, this leads to increasing exposure to flood risks. This PhD project aims to elucidate the impacts of spatial planning of mangrove forest conservation versus conversion to human land use on mitigation or amplification of flood risks. The study will focus on the Guayas river delta in Ecuador, being the largest delta along the Pacific coast of South America. Here El Niño events are manifested by increased sea levels and increased upstream tidal propagation through the delta, as well as by extreme rainfall and downstream river runoff. This causes flood risks for urban settlements in the delta, including the city of Guayaquil with nearly 3 million inhabitants. Human pressure has resulted in large-scale conversion of mangrove forests into aquaculture ponds and other human land use types, which may have further amplified the propagation of flood waves through the delta. The impact of the remaining mangrove areas on reduction of flood wave propagation will be investigated through field measurements and hydrodynamic modelling. The anticipated key mechanism causing flood wave attenuation is friction exerted by the mangrove wetland vegetation and the shallow wetland bathymetry. Practically, this PhD study will involve hydrodynamic field study campaigns and computer modelling for the Guayas delta (Ecuador). The modelling will be done with an existing hydrodynamic model, building further on previous projects on estuarine hydrodynamic modelling within the research group. Special focus is on the interaction between mangroves (vegetation, spatial complexity of tidal channel networks) and hydrodynamics (sea level rise, tidal wave propagation, river runoff), and the representation of small-scale mangrove landscape structure on large-scale hydrodynamic effects. This PhD study fits within the framework of an ongoing research project on mangrove forest response to sea level rise in the Guayas delta, Ecuador. 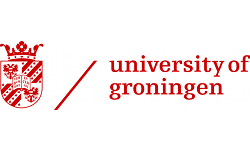 The PhD candidate will work in close collaboration with other researchers (modellers and experimental researchers) within the Ecosystem Management research group at the University of Antwerp (Belgium) under the supervision of prof. Stijn Temmerman: https://www.uantwerpen.be/en/staff/stijn-temmerman/. You will also collaborate with other research groups, including a well-established collaboration with the ESPOL university in Guayaquil (Ecuador). You will communicate results at national and international conferences and symposia. You will publish results in high-quality scientific journals. Based on the results you will prepare a thesis to obtain a PhD degree. You contribute to supporting general teaching and research activities within the research group, for instance for courses on Estuarine & Coastal Systems, River Morphology & Hydrodynamics, and Geographical Information Systems. You hold a master degree in Engineering, Bio-engineering, Physical Geography or Geology. Preferably you have knowledge of hydrodynamic processes in tidal systems (estuaries, lagoons...). Previous experience or special interest in hydrodynamic modelling (or other spatially-explicit environmental modelling) is considered as positive. Basic knowledge of scientific programming (preferably with Python and Fortran) is also considered as an asset. You are fluent in English (both speaking and writing). You have a communicative and enterprising attitude and are able to work independently as well as in a team. 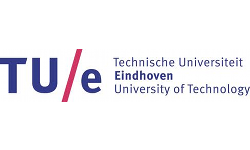 a doctoral scholarship for a period of 1 year; after positive evaluation, there is the possibility for an extension of the doctoral scholarship to a total period of 4 years. Applications may only be submitted online, and should include a copy of your CV and a motivation letter, before the closing date of 25 March 2019. More information about the application form can be obtained through vacatures uantwerpen.be. For questions about the profile and the description of duties, please contact Prof. Stijn Temmerman, e-mail: Stijn.temmerman uantwerpen.be (Tel. +32 3 265 23 13).